Dr. Emily Isaacson’s performances have been heralded as “inventive, enlightening, and moving” (Portland Press Herald), “little short of phenomenal” (Maine Classical Beat), and “not just music...the full panoply of human creative endeavor” (Wiscasset Newspaper). Isaacson is Artistic Director of the Oratorio Chorale and Maine Chamber Ensemble, a symphonic chorus and professional orchestra in Maine, and Founder and Artistic Director of the Portland Bach Experience, a festival celebrating the music of the Baroque era in both familiar and progressive formats that help listeners bridge the musical traditions of the past with the experience of the 21st century. Considered a dynamic emerging leader, in 2008 Isaacson helped to launch Roomful of Teeth, a GRAMMY-winning new vocal music ensemble. While serving as the Director of Choral Activities at Clark University, in 2015 Isaacson was awarded third place for the American Prize in Performing Arts, Choral Conducting, and in 2016 joined faculty from the Juilliard School for the Portland Bach Festival. Isaacson is a frequent guest conductor, adjudicator and speaker at music festivals and conferences throughout New England. Particularly noted for his “crystalline diction and pure, evenly produced tone” (Miami Herald), countertenor Reginald Mobley is highly sought after for baroque, classical and modern repertoire. Past performances of note include premiering a reconstruction of Bach’s Markus-Passion at the Oregon Bach Festival, constructed and led by Matthew Halls, as well as a an extensive tour of sixteen concerts around Europe singing Bach’s Matthäus-Passion with the Monteverdi Choir & English Baroque Soloists led by Sir John Eliot Gardiner. He returned to work with the ensemble last season for a further European tour where international reviews commented on his “purity of timbre” and “homegeny of tone.” He also performed in concerts of Handel’s Messiah with the Royal Scottish National Orchestra and Purcell’s King Arthur with the Academy of Ancient Music in London. Upcoming engagements include a recital at the Musee d’Orsay in Paris, performances of Mozart Requiem with Orkiestra Historyczna in Poland as well as returning to BachAkademie Stuttgart for a series of concerts in 2020. In December he makes his Debut in Hong Kong, performing several concerts of Handel’s Messiah, a return to St Paul Chamber Orchestra and the Washington Bach Consort. Reggie will also embark of an Australian tour in 2020 performing a selection of Bach cantatas. Violinist Johanna Novom appears as a soloist, chamber, and orchestral musician with ensembles across the US, and tours internationally. First prize winner of the American Bach Soloists' Young Artists Competition in 2008, Johanna has been Associate Concertmaster of Apollo's Fire, the Cleveland Baroque Orchestra, since completion of her Master's degree in Historical Performance at Oberlin Conservatory. She also performs with Trinity Wall Street Baroque Orchestra, Boston Early Music Festival Orchestra, Carmel Bach Festival, Washington Cathedral Baroque Orchestra, Clarion Music Society, TENET, Handel and Haydn Society, Sebastian Chamber Players, New York Baroque Incorporated, and ACRONYM, among others, and is a founding member of Diderot String Quartet, an ensemble dedicated to the performance of 18th and early 19th century repertoire. Johanna was also a 2010-11 fellowship member of the Yale Baroque Ensemble under the direction of Robert Mealy, and is currently based in Brooklyn, NY. Violist Kyle Miller made his concerto debut in 2005 with the Reading (Pennsylvania) Symphony Orchestra as 'the dog' in P. D. Q. Bach’s Canine Cantata, 'Wachet Arf!'. A member of ACRONYM (a seventeenth-century instrumental jam band), Diderot String Quartet, Four Nations Ensemble, and New York Baroque Incorporated, Kyle also has appeared onstage with Apollo's Fire, Clarion Orchestra, the English Concert, House of Time, Mercury, Quodlibet Ensemble, the Sebastians, Tafelmusik Baroque Orchestra, and Trinity Baroque Orchestra. Kyle was selected to be an English Concert American Fellow in 2015, and he has performed at the Carmel Bach Festival and the Staunton Music Festival. Last winter, Kyle wore a powdered wig on Broadway, where he performed in a run of Claire van Kampen's play 'Farinelli and the King'. Kyle studied at the Juilliard School, Eastman School of Music, and New England Conservatory, and he loves board games and hip-hop. A curiosity in the cultural background behind the music she plays led Sarah Stone to baroque cello and viola da gamba. She regularly performs with ensembles including Trinity Baroque Orchestra, the Sebastians, Early Music New York, and NYBI. This season includes Bach Cantatas with Trinity in Montreal, a northeast tour with Apollo’s Fire performing at Carnegie Hall and BEMF, and a Quartet Resound Residency with Bitterroot Baroque in Montana. Past highlights include Dans les Jardins de William Christie with Les Arts Florissants in Thiré, France, and touring with Juilliard415, performing across Europe and theNortheast with Rachel Podger and Masaaki Suzuki. David earned historical performance degrees from both the Koninlijk Conservatorium in Holland and the Juilliard School in NYC. Since 2009 his training and career have been focused exclusively on historical performance ranging from one-keyed baroque flutes to many-keyed flutes and piccolos of the romantic era. Prior to his specialization in early music he studied modern flute at the Cleveland Institute of Music. David teaches privately from his home in NYC. Mark Laseter, tenor, is pleased to join the Portland Bach Experience this season. Recent engagements include projects with Seraphic Fire, True Concord Voices and Orchestra, and Grammy Award-winning-ensemble The Crossing. This past year saw Mark in the United Kingdom where highlights included performances for Prince William Duke of Cambridge at Hereford Cathedral, for Charles Prince of Wales in a concert at Buckingham Palace, and for Pope Francis both in St. Peter’s Square and the Sistine Chapel. Mark is currently pursuing a Master’s degree in Sacred Music at the University of Notre Dame; he received his Bachelor’s degree in Voice Performance from Westminster Choir College. Steven Marquardtperforms exclusively on historical instruments, doubling on Baroque Trumpet and Natural Horn. Since relocating to New York City in 2015, Steven has quickly established himself as a freelancer, making regular appearances with Trinity Baroque Orchestra, Apollo's Fire, The American Classical Orchestra, Bach Vespers at Holy Trinity, and Clarion Society. Highlights for the 2017-18 season include performances of Handel's Israel in Egypt with Apollo's Fire, Bach cantatas on Baroque Horn with Bach Collegium Philadelphia, and playing both horn and trumpet on Bach's Mass in B-Mino with Blue Hill Bach Festival. Originally hailing from Burnsville, Minnesota, Steven is a graduate of Indiana University (M.M.) and Concordia College-Moorhead (B.M.). Steven resides in New York City with his wife, Marissa, and their cat, Marvin. Annie Gårlid grew up in New England and lives in Berlin, Germany. She studied literature at Smith College, viola performance at New England Conservatory, early music at the Hochschule für Musik in Cologne, and ensemble singing at the Schola Cantorum in Basel. As a viola player and singer, she is most interested in very old and very new forms of musical innovation as well as in music’s recontextualization and intersection with other media. She works and has worked together with a number of young composers and artists, including Holly Herndon, Caterina Barbieri, Emptyset, Cat Lamb, Nile Koetting, Marc Sabat, Bill Kouligas, Max Murray, Martin Hiendl, Rishin Singh, Cat Hope, and Henry Andersen. She plays and sings with De Nieuwe Philharmonie Utrecht, the Nederlandse Bach Vereniging, the Handel and Haydn Society, Barockorchester Aris & Aulis, Lucerne Festival Alumni Orchestra, Tafelmusik, the Solistenensemble Kaleidoskop, Songs, Konzert Minimal, and Arcades. She helps program the experimental music series Sacred Realism in Berlin-Wedding and makes her own music under the moniker UCC Harlo. Hailed by The New York Times for her "radiant, liquid tone,” “exquisitely phrased,” and “sweetly dazzling” singing, soprano Sarah Brailey is in growing demand across all genres of classical music. She has performed Steve Reich at Carnegie Hall, Handel’s Messiah with the Saint Paul Chamber Orchestra, and with Kanye West and Roomful of Teeth at the Hollywood Bowl. Highlights of Sarah’s current and recent seasons include Barber’s Knoxville: Summer of 1915 with the Colorado Symphony; George Benjamin’s Dream of the Song with the Lorelei Ensemble and Boston Symphony; Bach’s B Minor Mass and Purcell’s Fairy Queen with the Handel and Haydn Society; Webern’s Op. 13, 14, and 25 with Trinity Wall Street; Zweite Dame in Mozart’s Die Zauberflöte with the Clarion Music Society; Bach’s Magnificat with Musica Angelica; various John Zorn works around the world; Costanza in Haydn’s L’isola disabitata with the American Classical Orchestra; Schoenberg’s Das Buch der Hängenden Gärten with the Brooklyn Art Song Society; Queen of Sheba in Handel’s Solomon with the Trinity Baroque Orchestra; and Britten’s Les Illuminations with NOVUS NY. Sarah’s awards include First Prize in the 2015 Handel Aria Competition and the Leopold Damrosch Award in the 2014 Lyndon Woodside Oratorio Solo Competition. With “a conviction that commands attention” (Fanfare), the Arneis Quartet performs an eclectic range of programs from the standard to contemporary, including commissions of new works and interdisciplinary collaborations in New England and throughout the world. Playfully named after the Arneis grape—a varietal that is difficult to grow, but which yields an exquisite white wine—the Boston-based Arneis Quartet has brought their energetic approach and programming to traditional concert venues as well as salon style concerts and community outreach since 2009. Winners of the 2010 John Lad Prize and silver medal at the 2012 International Chamber Music Ensemble Competition, the Quartet has received fellowships at the Aspen Center for Advanced String Quartet Studies and the Apple Hill Center for Chamber Music; other festivals attended include the Juilliard Quartet Seminar, the Deer Valley Emerging Quartets and Composers Program, and the Banff Centre Chamber Music Residency. Committed to new music, they have received a grant from Meet the Composer, performed at the Beijing Modern Music Festival and the Shanghai Conservatory of Music. The Quartet has been featured at the Modulus Festival in Vancouver and Lively Arts Series at Stanford University. A recording of the chamber music of composer John H. Wallace, called “Arneis Quartet and Friends”, was released in 2016 on Centaur Records. Maine native John McKean is a harpsichordist and musicologist based in Boston, where he serves on the faculty of the Longy School of Music of Bard College. Frequently in demand as both a soloist and continuo player, he has performed extensively throughout Europe and North America. John performs with leading American and European ensembles, including Apollo’s Fire, Emmanuel Music, the Catacoustic Consort, Camerata Vocale Freiburg, Habsburger Camerata, and has appeared with the Jacksonville, Naples, Portland, and Pittsburg symphony orchestras. John holds degrees in German Studies and Harpsichord Performance from Oberlin College/Conservatory, an advanced performance diploma from the Hochschule für Musik Freiburg (Germany), and an M.Phil. and a Ph.D. in historical musicology from the University of Cambridge (U.K). Lauded for her “impressive clarity and color” by the New York Times, and for her “brilliant, agile soprano” by the San Diego Story, Jessica Petrus delivers intimate performances of early and new vocal chamber music. Past notable performances include Gabriel in Haydn's Die Schöpfung, led by Masaaki Suzuki with the Yale Schola Cantorum and Julliard415, about which Opera News lauded her “fine lyric soprano.” She also premiered the soprano solo in Robert Kyr's The Annunciation with the Yale Camerata and performed in concert with Aaron Jay Kernis in his L'Arte Della Danssar on New Music New Haven. Jessica has premiered several solo new works by composers, including Zachary Wadsworth, Susan Kander, Jordan Kuspa, and Robert Vuichard. In 2014, she recorded songs by composer Daniel Carr, which were subsequently released on his solo works album on MSR Classics. Jessica is also a passionate teacher and most recently held voice faculty positions at Choate Rosemary Hall and with the Yale Glee Club. She has given masterclasses to university students at the University of Arizona and Baldwin Wallace University. She currently makes her home in Boston, MA where she performs regularly, teaches at the Advent School, and maintains a private voice studio. When not singing, Jessica can be found trying out a new recipe in her kitchen, or taking in New England's bountiful natural beauty with her husband and baby boy. Evan Few has established himself as a leader in his generation of early music specialists, having performed repertoire ranging from Monteverdi to Gershwin on period instruments. An assertive, collaborative instrumentalist, Evan appears on stages across the globe with the likes of Apollo’s Fire, Bach Collegium Japan, Bourbon Baroque, La Chambre Philharmonique, Chatham Baroque, Les Délices, and the Washington Bach Consort. He performs annually at the Carmel Bach Festival, works as Artistic Administrator of the Atlanta Baroque Orchestra, and is a member of the new collective Music in Familiar Spaces. Evan holds master's degrees from Oberlin Conservatory and Koninklijk Conservatorium Den Haag, and is a devoted cook and avid yogi. Touring extensively as a solo, chamber, and orchestral player throughout Europe, Asia, and North America, baroque violinist Asako Takeuchi has performed with ensembles such as the Wallfisch Band (UK), Collegium Musicum Den Haag (Netherlands), Den Haag Piano Quintet (Netherlands), The Bach Choir & Orchestra of the Netherlands, Arion Baroque Orchestra (Canada), Handel & Haydn Society (USA), Boston Baroque, The Boston Camerata, and early folk ensemble Floyds Row. She has performed at numerous festivals, including Festival Oude Muziek Utrecht (Netherlands), Deutsches Mozartfest and Innsbruck Festival (Germany), Festival de Música Antigua de Barcelona (Spain), MUPA International Arts Festival (Thailand), and Abbaye aux Dames (France), and Aston Magna Festival (USA). Discography includes recordings with The Wallfisch Band, Arion Baroque Orchestra, and The Bach Choir & Orchestra of the Netherlands. Performer, composer/arranger, and scholar, Andrew Arceci has performed throughout North America, Europe, and Asia. In Europe, he has appeared with the Orchestra of the Age of Enlightenment (UK), Oxford Baroque (UK), and Collegium Musicum Den Haag (The Netherlands). In the United States, he has collaborated with the Boston Camerata, Emmanuel Music (recently named a 2017-2018 Lorraine Hunt Lieberson fellow), Handel & Haydn Society, Boston Baroque, the Arcadia Players, Tempesta di Mare - Philadelphia Baroque Orchestra, The Folger Consort, Washington Bach Consort, Washington National Cathedral, TENET, and Harmonious Blacksmith. He has presented at musicology conferences in Portugal, the UK, and the US; and has given workshops at the University of Oxford (UK), the University of Cambridge (UK), the University of Edinburgh (UK), the Narnia Arts Academy (Narni; Italy), the Taipei National University of the Arts (Taiwan), Burapha University (Thailand), Bloomsburg University of Pennsylvania (US), Illinois Wesleyan University (US), and the International Baroque Institute at Longy-Bard College (US). Currently, he directs the Collegium Musicum at Wellesley College, as well as the Winchendon Music Festival. Recording credits include soundtrack work for the BBC (UK), and the labels Novum (UK), Deutsche Harmonia Mundi (Germany), Bôłt Records/Monotype Records (Poland), Cedille Records (US), and Centaur Records (US). Hailed as “a great organist” displaying “phenomenal technique and sheer musicality” (Bloomberg News), James Kennerley is a multi-faceted musician, working as a conductor, keyboardist, singer, and composer. His performances are known for their illustrious flair and thrilling virtuosity, subtlety and finesse, drawing on the full resources of the instrument. Mr. Kennerley is a recognized specialist in the realm of early music, and has collaborated with William Christie, Richard Egarr, Nicholas McGegan, Christopher Hogwood, Monica Huggett, Julian Wachner, Gary Thor Wedow, among others. He has given solo harpsichord concerts throughout the United States and Europe to great acclaim. A member of NYC-based early music ensemble, Sonnambula, Mr. Kennerley recently recorded virtuosic works for harpsichord by sixteenth-century English composer John Bull to be released on Centaur Records. Mr. Kennerley was appointed the Municipal Organist of Portland, Maine, by the Mayor in September 2017, following a unanimous vote from the Search Committee and the City Council. He will be the eleventh organist to hold the internationally renowned position, following a 27-year tenure by his immediate predecessor, Ray Cornils. Mr. Kennerley's official duties begin in January 2018. Together with the Friends of the Kotzschmar Organ, the Municipal Organist position is one of the most prominent and significant for the promotion of the organ, its music, and the many educational and outreach opportunities it enables. Jonathan Hess has been praised for his “power and finesse" by the Boston Classical Review and his "exacting milieus" by the Boston Globe. He is the timpanist for the Handel and Haydn Society and has performed with Boston Baroque and Philharmonia Baroque orchestras, A Far Cry, Aston Magna, Grand Harmonie and the Connecticut Early Music Festival. Jonathan is a founding member of the Boston Percussion Group (BPeG) and regularly performs and records with the Boston Modern Orchestra Project and Odyssey Opera. He played drum set for the Boston Gay Men’s Chorus' historic trip through the Middle East and will accompany them again to South Africa this summer. Jonathan teaches percussion at the College of the Holy Cross and is a graduate of St. Olaf College and the Boston Conservatory with extra studies in Ghana with Bernard Woma and Edmund Tijon. Sarah Darling enjoys a varied musical career that spans many centuries and styles. She holds a variety of leading roles on viola and violin with A Far Cry, the Harvard Baroque Chamber Orchestra, Musicians of the Old Post Road, Boston Baroque, Musical Offering, Les Bostonades, and Gut Reaction, while also performing with the Boston Early Music Festival, the Carmel Bach Festival, Emmanuel Music, Antico Moderno, Grand Harmonie, and Boston Ballet. Sarah has recorded old and new music for Naxos, Linn, Paladino, Azica, MSR, and Centaur Records. She studied at Harvard, Juilliard, Amsterdam, and Freiburg (via the Beebe, Paine, and DAAD grants), and is currently finishing a doctorate at New England Conservatory with Kim Kashkashian. She is active as a teacher and coach, with a special interest in body mechanics and musical rhetoric, and recent guest sessions at Longy, Yale, and Cornell. Sarah has been described as "focused, nuanced, and arresting" (Boston Musical Intelligencer) and praised for “excellent solos” (Boston Globe), “absolute concentration and astonishing precision” (Badischer Zeitung), and “sympathy and spirit” (Hub Review).  Stefan Reed, is delighted to be joining Portland Bach Experience this summer. Originally from Glasgow, Virginia, Mr. Reed is currently based in Jamaica Plain, Massachusetts and is enjoying an active chamber music, oratorio, and recording career with performances and projects in New England and throughout the country. Mr. Reed’s voice has been characterized as an “intense, focused, lyric tenor” (Miami Herald), his performances have been described as “dramatically expressive and technically impressive” (Boston Musical Intelligencer). He performs regularly with Boston Baroque, Blue Heron, Conspirare, the Handel and Haydn Society (H+H), and Seraphic Fire. Recent solo engagements include Telemann's Lukas-Passion with Boston Baroque; Bach's Mass in B Minor and Magnificat and Purcell’s The Fairy Queen with H+H; Purcell’s King Arthur with the Henry Purcell Society of Boston; Beethoven's Mass in C with the Chorus of Westerly; Schubert’s Mass in G with the Vermont Symphony Orchestra; Mozart's Mass in C with Coro Allegro; Beethoven's Symphony No. 9. with the Arcadia Players and the Worcester Chorus; Handel’s Messiah with the Concord Chorus and Orchestra; Mozart's Requiem and Haydn's Missa in tempore belli with the Dedham Choral Society; Bach’s Mass in B Minor with Boston Cecilia; as well as Monteverdi's Vespro della Beata Vergine 1610, Mozart's Requiem, and Purcell’s King Arthur with the Miami-based ensemble Seraphic Fire and the Firebird Chamber Orchestra. Other performance highlights include Mozart's Requiem, and Schumann’s Paradise and the Peri with the Back Bay Chorale, and numerous performances with the the Mount Vernon Symphony, Marsh Chapel Choir and Collegium, the Tanglewood Chamber Music Ensemble, and both the Boston and Maryland Masterworks Chorales. Mr. Reed spent two summers as a fellow at the Tanglewood Music Festival. He holds performance degrees from the New England Conservatory and George Mason University. Flutist Andrea LeBlanc is devoted to furthering the artistry and expression of the flute by performing on instruments original to or reproductions from the baroque, classical, and romantic eras. Praised by Early Music America for her “sensitive and beautiful playing, with crystalline tone and execution” (EMAg, Fall 2015), Ms. LeBlanc performs regularly with ensembles including the Handel and Haydn Society, Boston Baroque, Mercury Houston, Grand Harmonie, Aston Magna Music Festival, Les Bostonades, and Cambridge Concentus. She has appeared with the Folger Consort in Washington, D.C. and in 2009 performed Bach’s St. Matthew Passion on Cambridge Concentus’ tour of Japan, under the direction of Joshua Rifkin. Andrea has also worked with such conductors as Masaaki Suzuki, Richard Egarr, Nicholas McGegan, Harry Christophers, Ian Watson, and Simon Carrington. She performs chamber music of the late-classical and early-romantic periods with pianist David Hyun-Su Kim. In 2012, Ms. LeBlanc became the first baroque artist to participate in Music at Eden’s Edge Emerging Artist program, and was invited to become a full member based on her exemplary participation. She has also performed at the Blue Hill Bach Festival in Maine, the Big Moose Bach Festival in Gorham, NH, and she will join the Portland Bach Experience in June of 2017. Ms. LeBlanc holds a B.Mus. with honors and distinction in performance from New England Conservatory and a M.Mus. from the University of Massachusetts Amherst, where she was a teaching assistant in flute and early music. She spent a year furthering her study of the traverso at the Royal Conservatory in The Hague (Netherlands). Bassoonist Ben Matus developed a love for Early Music at a young age while growing up in Bucks County, Pennsylvania. As a boy soprano, Ben's favorite music to sing was from the Baroque and Renaissance eras. Now, Ben indulges his childhood dreams playing historical bassoons and dulcians in New York City and around the country with wonderful colleagues and friends. Ben studied modern bassoon at the Eastman School of Music and historical bassoons at the Juilliard School. In his spare time, he can be found making and drinking coffee, reading, playing lute poorly, or cannot be found as he is deep in the woods. Ben is thrilled to be playing this incredible music in this wonderfully beautiful part of the world. Benjamin Noyes grew up in Portland, inheriting a rich musical/pedagogical heritage from his parents. He found local acclaim immediately, and while he was attending Bowdoin Summer Music Festival, Irene Sharp invited him to study in San Francisco, where he attended the School of the Arts and San Francisco Conservatory’s preparatory division. He won numerous awards, including top prizes in NFAA’s ARTS Recognition, National Federation of Music Clubs, and National ASTA competitions, as well as being selected by Yo-Yo Ma to participate as soloist and recitalist throughout China to perform with the Beijing, Chengdu, Shenzen and Shanghai Symphony Orchestras. As a fellowship recipient he attended the Boston University Tanglewood Institute, the New York String Orchestra Seminar, Yale’s Norfolk Chamber Music Festival, the Sarasota Chamber Music Festival, the Aspen Festival, and Meadowmount. As an undergraduate, he attended Eastman School of Music and received his BM from Rice University and his MM from Northwestern University, where he participated in the Chicago Symphony’s Civic Orchestra program, playing under maestros Pierre Boulez, Mstislav Rostropovich, and Daniel Barenboim, among others. He has held positions with the Naples Philharmonic Orchestra and various summer opera orchestras. A multi-faceted individual, Ben continues to garner acclaim for performances of solo recital programs and chamber ensemble concerts as well as various non-classical ventures. Pursuing the artist’s life has led him to collaborations and performances throughout North America, Europe, and Asia, as well as teaching, coaching, and motivating individuals of all ages and professions. He also finds joy in many areas including but not limited to composing, recording, producing, drawing, and writing. Ray Cornils recently retired as Municipal Organist for the City of Portland, a post which he held from 1990 to 2017. For thirty years he served First Parish Church, UCC, Brunswick, Maine as Minister of Music where he led an extensive music program of five vocal and two handbell choirs. Known for his highly diverse programming, Ray has concertized throughout the United States, Germany, France, Spain, Russia, New Zealand and Ecuador. He has been a featured recitalist for conventions of the American Guild of Organists and the Organ Historical Society. In addition to his solo work, he performed regularly with the Portland Symphony Orchestra. Ray has been a member of the music faculties of Bowdoin College, the University of Southern Maine, the Young Organists Collaborative and the Portland Conservatory of Music, where he taught organ, harpsichord and related classes. He has held many leadership roles in the American Guild of Organists, including Convention Coordinator for the 2014 National Convention in Boston. Mr. Cornils studied at the Oberlin College Conservatory of Music and the New England Conservatory of Music in Boston. He has studied organ with Robert Reeves, Fenner Douglas, William Porter, Yuko Hayashi. He has done post-graduate studies with Dame Gillian Weir. He studied harpsichord and continuo with William Porter, Lisa Goode Crawford, Lenora McCroskey and Rhona Freeman. Equally at home on modern and period instruments, violist and violinist Anna Griffis has given recitals in Mexico,Turkey, Austria, Taiwan, and throughout North America. She is a member of the New Bedford Symphony (principal), Grand Harmonie (principal), ​and the Albany Symphony, ​and performs with the Rhode Island Philharmonic, Emmanuel Music, Boston Baroque, Les Bostonades, ​Blue Heron, and Arcadia Players. She co-founded Trio Speranza, prize winners at the Early Music America baroque competition, and performs with and is executive director of the Ludovico Ensemble, a group focused on music of the European avant-garde. Anna studied at Lawrence University, The Hartt School of Music, Tanglewood Music Center, and Boston University. In addition to her performing career, she is on faculty at the Dana Hall School of Music, maintains a private studio, and oversees public relations for the Tufts University Music Department. She lives in the great neighborhood of Lower Allston with her bassoonist husband and their cat, Pig​. Michael Unterman enjoys an active and varied performing career. Currently serving as principal cellist of Boston Baroque, he also performs frequently with groups such as the Boston Early Music Festival Orchestra, Handel and Haydn Society, Trinity Baroque Orchestra, and the Portland Baroque Orchestra. On modern cello he is a core member of the string chamber orchestra A Far Cry, and performs as a guest with The Knights and at the Birdfoot Festival in New Orleans. Michael graduated from Juilliard’s Historical Performance program where he studied with Phoebe Carrai. Prior to that, he earned bachelors and masters degrees at the New England Conservatory, studying with Laurence Lesser and Natasha Brofsky, and was a Fulbright scholar in Barcelona, Spain, where he studied with Lluís Claret. David Tinervia has performed as a soloist throughout the United States and Canada. Recently, he sang the world premiere of Nina C. Young’s “ Out of whose womb came the ice ” with the American Composer’s Orchestra, receiving acclamation in the New York Times' “This Week’s 8 Best Classical Music Moment’s.” In 2016, he became a winner of the Boston District Metropolitan Opera National Council Auditions. A two-time fellow of the Tanglewood Music Center, Mr. Tinervia made his debut as The Traveler in Curlew River in collaboration with the Mark Morris Dance Group. Since then, he has sung a wide variety of early, contemporary and operatic repertoire with many of the region’s finest ensembles, including Boston’s Handel and Haydn Society, Emmanuel Music, Arcadia Players, Music at Marsh Chapel, Ballet Opera Pantomime in Montreal, the Kingston Symphony Orchestra and Ensemble Caprice. This year, Mr. Tinervia also serves as a 2017-2018 Lorraine Hunt-Lieberson Fellow with Emmanuel Music. Mr. Tinervia holds bachelors and masters degrees from McGill University in Montreal. While committed to his career in music, he is also currently pursuing studies in premedical science at Harvard University. David Dickey earned his Master of Music Degree in Historical Performance in Baroque oboe from The Juilliard School. During his two-year program, he played with the school’s premier period instrument ensemble, Juilliard415, and toured through England and Germany, playing in J.S. Bach's own Thomaskirche at Bachfest in Leipzig, as well as at The Boston Early Music Festival under Masaaki Suzuki. Upon graduation, he received the Norman Benzaquen Career Advancement Grant, awarded to five students graduating from Juilliard, and was one of four graduates to be given a year-long contract to appear in recitals and orchestral performances with The English Concert in America. Since then, he continues to live in New York, playing with New York Baroque Inc., Bach Vespers at Holy Trinity, and Early Music New York. He can be heard playing with orchestras around the country with the Handel and Haydn Society in Boston, Philharmonia Baroque in Berkeley, CA, Mercury: The Orchestra redefined in Houston, TX, and the American Bach Soloists in San Francisco. Grant Herreid is on the faculty at Yale University, he leads the Yale Collegium Musicum and the Yale Baroque Opera Project. He also directs the New York Continuo Collective, and devotes much of his time to exploring the unwritten traditions of early music with the ensembles Ex Umbris and Ensemble Viscera, enterprises profoundly affected by the loss of his dear friends, long-time collaborator Tom Zajac, and teacher and colleague Pat O’Brien. Violinist Jesse Irons enjoys a busy and excitingly diverse musical life in and around his home city of Boston. He appears regularly with the Handel and Haydn Society, as guest concertmaster with Boston Baroque, with the Boston Early Music Festival, and with numerous small ensembles including Gut Reaction. He has recently appeared as soloist with Newton Baroque, Sarasa, Chicago's Baroque Band, and the City Orchestra of Hong Kong. A member and co-artistic director of the GRAMMY-nominated ensemble A Far Cry, he has appeared in concert across North America, Europe, and Central and Southeast Asia. Jesse’s playing has been described as "insinuating" by the New York Times, and he's pretty sure they meant it in a good way. As an educator, Jesse has worked with students on entrepreneurship and chamber music at MIT, Yale, Stanford, Eastman, Peabody, and New England Conservatory. Mandy Wolman has been described as an "impressive and bold leader" by the Chestnut Hill Local. She has been a soloist with the Los Angeles Jewish Symphony premiering a piece by Philadelphia composer Andrea Clearfield and is a regular soloist with Prometheus Chamber Orchestra. A specialist in both baroque and modern instruments, she performs as a section violinist with Tempesta di Mare, Handel Choir of Baltimore, Bach Festival of Philadelphia, Washington Cathedral Orchestra, Spire Ensemble, Chestnut Hill Cantata Series, and the Indianapolis Early Music Festival among others. As a soloist, she has given concerts at University of Pennsylvania and Rutgers University with members of Piffaro and is a regular performer in the Bach @7 Cantata series. She has appeared with members of the Dali String Quartet in a chamber series at the Plastic Club Art Gallery, combining both of her loves; violin and Flamenco. She joined Tempesta di Mare in 2010 and has recorded several CD's with them for Chandos recording label. In addition, she has recorded for Naxos with the Chamber Orchestra of New York. As an orchestral player, Mandy performs regularly with Symphony in C, Chamber Orchestra of New York, Philly Pops Orchestra, Pennsylvania Ballet, Prometheus Chamber Orchestra, and University of Pennsylvania Orchestra. She was a founding member and concertmaster of Prometheus Chamber Orchestra, a conductorless chamber orchestra, as well as Classical Revolution Players. Most recently she has premiered music by Jeremy Gill and Riho Maimets as part of the inaugural Salon Series for collaborative artists and new composers in Philadelphia. Aside from her busy freelancing career, Mandy teaches with an organization called Tune Up Philly which is a division of the Philadelphia Youth Orchestra. She gives workshops and groups classes to children in Public Schools and maintains a private studio in her home as well. In past summers she has been a teaching artist at SoundFest Music Festival alongside members of the Colorado String Quartet. She has also taught at Settlement Music School. Perry Sutton, baroque trumpet, leads a musically diverse life, performing in baroque, orchestral, chamber music, and commercial music settings with equal dexterity. Recent early music credits include: Apollo's Fire, Washington Bach Consort, Trinity Baroque, Clarion Music Society, and The Sebastians. Perry has degrees from both Mason Gross School of the Arts: Rutgers University and Rowan University College of Fine and Performing Arts. Diderot String Quartet—named after the prominent eighteenth-century French philosopher and Boccherini enthusiast Denis Diderot—came together in 2012 after having first met at Oberlin Conservatory and The Juilliard School. The four musicians share a background in historical performance and a passion for the string quartet genre; they quickly found the thrill of exploring the latter repertoire on period instruments to be irresistible. Diderot String Quartet brings a fresh approach to both familiar and lesser-known works of the eighteenth and nineteenth centuries. Recent and upcoming engagements for DSQ include Music Before 1800 (New York City), Renaissance & Baroque (Pittsburgh), Carmel Bach Festival, St. Cecilia Music Series (Austin, TX) and Great Performances at the Toledo Museum of Art. In the 2017 – 18 season, Diderot will make its Canadian debut with Early Music Vancouver and Friends of Chamber Music Vancouver, followed by a concert with Early Music Society of the Islands in Victoria, British Columbia. The quartet also enters a third year as Quartet in Residence at the Washington National Cathedral. Diderot has served as guest faculty for Oberlin’s Baroque Performance Institute, and been in residence at Aldeburgh Music in the U.K and Holy Trinity Lutheran Church (New York City), and has performed at the Metropolitan Museum of Art and Cambridge Society of Early Music. Other notable events include the recent premiere of DSQ’s first commissioned work—Small Infinities by composer Lembit Beecher—and the forthcoming release of the group’s debut album in Spring 2018. Robinson Pyle, trumpet, performs extensively on both modern and historic instruments. He is currently principal trumpet with the Plymouth Philharmonic. Formerly, Mr. Pyle had been a principal with Boston Baroque, Apollo’s Fire, and The Lyra Concert. He has appeared with Grand Harmonie, the Purcell Society of Boston, Portland Symphony Orchestra, Studio de musique ancienne de Montréal, Albany Symphony, Boston Cecelia, Handel and Haydn Society, Ensemble Caprice, Washington Bach Consort, and has performed as a guest artist with Les Bostonades, Aston Magna, and at the Blue Hill Bach Festival. As a jazz performer, Mr. Pyle has played in bands with such legends as saxophonist Joe Henderson, trombonist J. J. Johnson, and trumpeter Donald Byrd, and has appeared at the House of Blues. He has recorded for the Linn, Telarc, Eclectra, Interscope, OJE, and A2Z labels, and has been featured in radio broadcasts on WGBH, WCRB, WCLV, WKSU, National Public Radio, the Canadian Broadcasting Corporation, and European Community Radio. Mr. Pyle currently teaches in the Historic Performance Department at Boston University and is a faculty member in the Wellesley Public Schools. He has been a guest lecturer in Historical Performance at Harvard University and the University of Massachusetts, and in Musical Acoustics at the Massachusetts Institute of Technology, Tufts University, and Dartmouth College. He lives with his wife, Julie, and their two cats, Rose and Lily. In his spare time, Mr. Pyle enjoys kayaking and photographing nature, often at the same time. He holds a degree in Trumpet Performance from the Oberlin College Conservatory of Music. JESSICA TROY, viola, wears a variety of freelance hats. On baroque viola she performs regularly with the Sebastians, New York Baroque Incorporated, Trinity Baroque Orchestra, Clarion, American Classical Orchestra, and appeared with Renée Fleming on the David Letterman Show. As a violist with the Mark Morris Dance Group Music Ensemble since 1998, she has toured extensively - from Sydney to San Juan, from Moscow, Idaho to Moscow, Russia - and performed with Yo-Yo Ma across the US and Japan. While wearing her "playing chamber music for dance" hat, she has also performed with Dance Heginbotham. A member of the Orchestra of St. Luke's, Westchester Philharmonic, and NYC Opera Orchestra, she also performs with many other local ensembles, including the Mostly Mozart Festival Orchestra and NOVUS NY. She has recorded quartet tracks for Lou Reed and Ani DiFranco, performed on TV with Whitney Houston, and on film with David Byrne. A participant at many illustrious music festivals, including Tanglewood, Spoleto, and Marlboro, she can be heard on Marlboro's 50th anniversary CD in György Kurtág's Microludes for string quartet, which she prepared with the composer. Scott Metcalfe is widely recognized as one of North America’s leading specialists in music from the fifteenth through seventeenth centuries and beyond. He is the director of Blue Heron, acclaimed by The Boston Globe as “one of the Boston music community’s indispensables” and winner of the 2018 Gramophone Classical Music Award for Early Music. From 2010-2019 Metcalfe was music director of New York City’s Green Mountain Project (Jolle Greenleaf, artistic director) and he has been guest director of TENET (New York), the Handel &amp; Haydn Society (Boston), Emmanuel Music (Boston), the Tudor Choir and Seattle Baroque, Pacific Baroque Orchestra (Vancouver, BC), Quire Cleveland, the Dryden Ensemble (Princeton, NJ), and Early Music America’s Young Performers Festival Ensemble., in music ranging from Machaut to Bach and Handel. Metcalfe also enjoys a career as a baroque violinist, playing with Les Délices (dir. Debra Nagy), L’Harmonie des Saisons (dir. Eric Milnes), and other ensembles. He has taught vocal ensemble repertoire and performance practice at Boston University and vocal ensemble performance at Harvard University, and has served as director of the baroque orchestra at Oberlin Conservatory. Metcalfe’s scholarly activities include research on the performance practice of English vocal music in the 16th and 17th centuries, some of which will be published as two chapters in Music, politics, and religion in early seventeenth-century Cambridge: the Peterhouse partbooks in context (Woodbridge: Boydell and Brewer, forthcoming in 2019). He has also edited a motet by Francisco de Peñalosa for Antico Edition and the twelve unique songs in the newly-discovered Leuven chansonnier for the Alamire Foundation, and he is preparing a new edition of the songs of Gilles Binchois (c. 1400-1460). He received a bachelor’s degree from Brown University (1985), where he majored in biology, and a master’s degree in historical performance practice from Harvard (2005). Violinist Carrie Krause has performed as concertmaster of New Trinity Baroque in Atlanta, as guest concertmaster of Pacific Baroque in Vancouver and the San Francisco Bach Choir, as associate concertmaster of Apollo&#39;s Fire in Cleveland, and as principal with Spire in Kansas City and the Oregon Bach Festival. Carrie was guest artistic director and concerto soloist with Seattle Baroque in a performance of Vivaldi’s Four Seasons. She has also appeared with Chatham Baroque, New York State Baroque, Portland Baroque, Passamezzo Moderno, Baroque Chamber Orchestra of Colorado, Clarion, The American Classical Orchestra, and Concert Royale in New York. Festival engagements include the Leipzig Bach Festival as soloist, as concertmaster with the Belgrade Early Music Festival in Serbia and Sastamalla Gregoriana in Finland, and the Utrecht Early Music Festival, Festival Dan les Jardins de William Christie, and the BBC Proms. Carrie founded Baroque Music Montana, a presenting organization for concerts across Montana, Idaho, and Wyoming, the Period Performance Workshop, and the I‐90 Collective, which performs on series from Seattle to Syracuse. As a modern violinist, Carrie serves as concertmaster of the Bozeman Symphony, and was thrice featured in the Grammy Award-winning TV series, 11th and Grant. Carrie received degrees from Carnegie Mellon under Andres Cardenes and a master’s degree from the Cleveland Institute of Music in violin performance and Suzuki Pedagogy and a second master’s degree from The Juilliard School in Historical Performance. Deborah Fox is a lutenist with a span of repertoire ranging from medieval to baroque music, as a soloist, chamber music player, and baroque opera continuo. She has performed with the major early music ensembles and festivals from Newfoundland to Australia, including the Carmel Bach Festival, Glimmerglass Opera, Les Violons du Roy (Montreal), Spoleto Festival, Opera Atelier (Toronto), Pinchgut Opera (Sydney), Concert Royal (NY), Haymarket Opera and Third Coast Baroque (Chicago), and others. She received the Certificate of Advanced Studies in Early Music at London's Guildhall School, specializing in the improvised accompaniment practices of the baroque. Her teachers have included Paul O'Dette, Pat O’Brien, and Nigel North. She has been a Teaching Artist for the Aesthetic Education Institute. She is the founder and director of Pegasus Early Music in Rochester, NY, and the director of NYS Baroque in Ithaca and Syracuse, NY. Tenor Mark Sprinkle‘s singing has been described in the press as “expressive,” “very rewarding,” “outstanding,” “vivid,” and “supremely stylish.” As a soloist and ensemble singer, he has worked with a diverse list of conductors, such as Seiji Ozawa, Christopher Hogwood, William Christie, Roger Norrington, John Nelson, Andrew Parrott, Grant Llewellyn, and Craig Smith. He is a long-time member of Blue Heron, singing with the ensemble from its beginnings, and can be heard on their 2018 Gramophone award-winning recording of music from the Peterhouse Partbooks. Mr. Sprinkle has sung the Evangelist in Bach Passions with the Handel & Haydn Society, the Boulder Bach Festival, the Oriana Singers of Vermont, Seraphim Singers, Boston’s Chorus Pro Musica, and the Andover Choral Society, among others. He has appeared as a soloist with Concerto Palatino, with the Handel & Haydn Society in Bach’s St. Matthew Passion and Monteverdi’s 1610 Vespers, and in concerts with Christopher Hogwood in Jordan Hall. He has collaborated with the Boston Early Music Festival, the Boston Camerata, the Mark Morris Dance Group, Emmanuel Music, Boston Baroque, and many others, and performed at festivals in Bergen, Norway; Vancouver; Edinburgh; and Aldeburgh, UK. He was a founding member of the Cambridge Bach Ensemble and a fellow of the Britten-Pears School and has recorded for the Blue Heron label, as well as Dorian, Koch, Harmonia Mundi, Decca, Arabesque, and Telarc. Tenor Jonas Budris is a versatile soloist and ensemble musician, engaging new works and early music with equal passion. Mr. Budris enjoys performing, touring, and recording with such groups as Cut Circle, the Handel and Haydn Society, Emmanuel Music, Boston Baroque, Spire, The Thirteen, and the Skylark Vocal Ensemble. He is featured in Blue Heron's album "Music from the Peterhouse Partbooks, Vol. 5" which received the 2018 Gramophone Award for Early Music. On the opera stage, he has performed principal and supporting roles with numerous musical organizations, including Opera Boston, OperaHub, Guerilla Opera, and Odyssey Opera, originating such roles as John in Giver of Light and the title character of Chrononhotonthologos. Mr. Budris recently made his debut at the Carmel Bach Festival, where he was the 2018 Tenor Vocal Fellow for the Virginia Best Adams Vocal Masterclass. Originally from Martha’s Vineyard, Mr. Budris holds a degree in Environmental Sciences & Engineering from Harvard College.